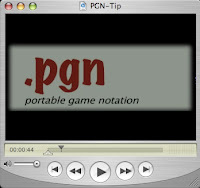 This podcast gives a tip for collecting games in .pgn format. Also a quick chess problem at the end. If you have seen previous podcast try to spot the two themes.